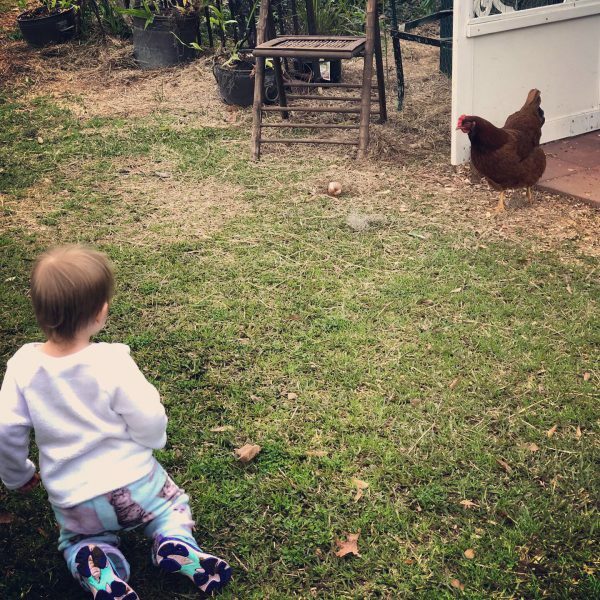 My granddaughter Virginia Rose has a favorite daily playtime either watching or playing with the chickens next door. 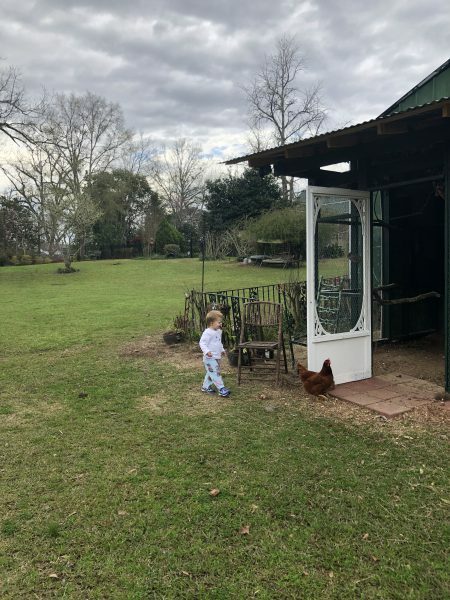 Neighbor Ouida (who Virginia Rose lovingly calls Oiu-Oui) loves her chickens too. 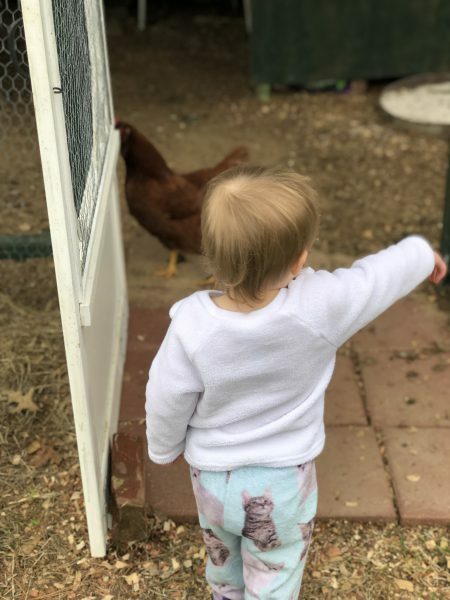 She leaves eggs for my daughter Kara on her back porch steps whenever she has a bounty. We had eggs atop our corned beef hash the day after St. Patrick’s Day and they were so good. The yolks were the most beautiful shade of orange! 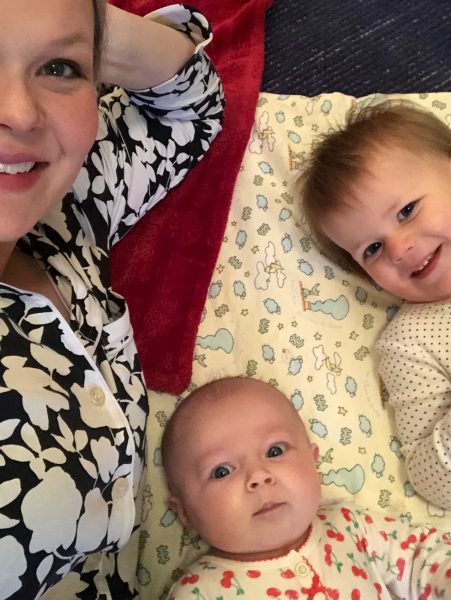 Wherever they go, Virginia Rose will find them! 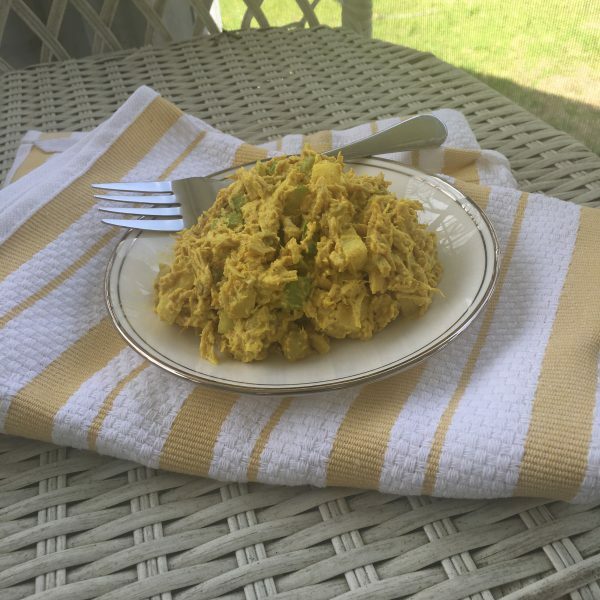 These chickens are not for eating, just eggs, which is good because Kara has a favorite chicken salad recipe from this cookbook by Sarah Leah Chase, co-author of The Silver Palate Good Times Cookbook and owner of Nantucket’s popular Que Sera Sarah. 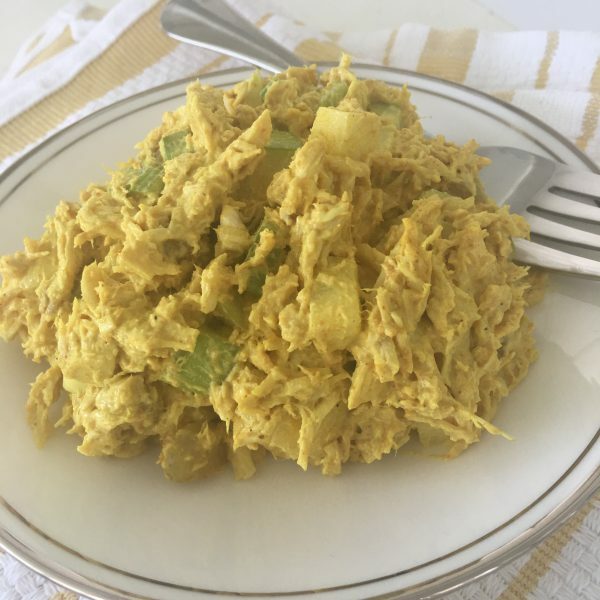 The Curried Chicken Salad has chunks of Granny Smith apples, celery, ginger, lime juice, and golden raisins that are plumped for a few minutes in white wine. The wine is not even drained off, it goes right into the mayo dressing. It’s so good! Place the raisins and wine in a small saucepan. Heat to boiling over medium-high heat. Reduce heat and simmer for 3 to 4 minutes. Add the raisins and the wine to the chicken mixture and toss to combine. Transfer to a serving bowl and refrigerate at least 1 hour before serving. Garnish with apple slices and edible flowers, if desired. Serves 6-8.
: * To poach chicken: Fill a large saucepan with water and add a few splashes of white wine. Scatter in some onion slices, carrot sticks, celery leaves, and parsley sprigs; season with salt and pepper. Add the chicken breasts. Bring to a full boil, uncovered, and then remove from heat and cover immediately. Let it all cool to room temperature before using and do NOT take off the lid until it is all cooled. This method makes perfect poached and tender chicken. 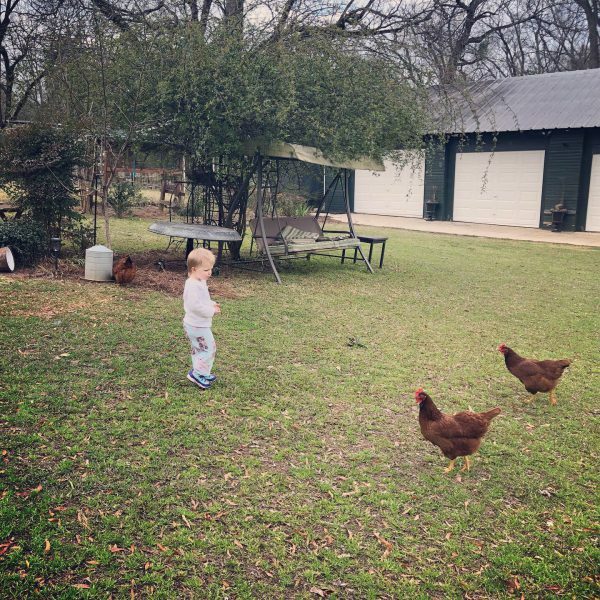 6 Responses to Chickens, Chickens Everywhere! I have used this method for poaching chicken breasts for years. super easy and oh so yummy. thank you for sharing. I also loved the Silver Palate from years ago, as well. Nothing like mother daughter time! 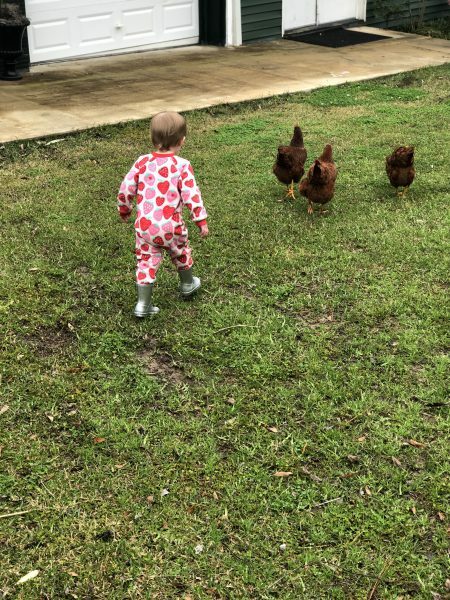 How wonderful to spend those joy-filled days with your girls; chasing chickens or cooking and eating delicious curried chicken salad. Nothing better! 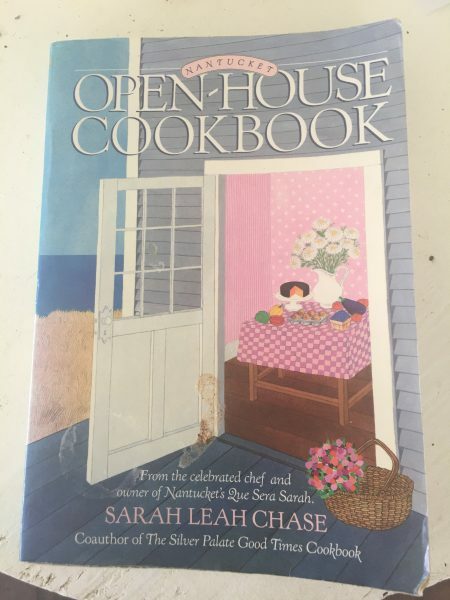 Definitely going to make that chicken salad recipe soon and keep my eyes open for a copy of that cookbook, too. I love this poaching recipe. Chicken is delicious! I have put aside some books to send if you’d still like them. Thank you, Michelle! I’ll send you an email.